D.H. Melhem is one of our brilliant contemporary talents…a nimble vigor, a roomy intellect, a sanity-searcher…She possesses one of the most remarkable minds of our time. The power in this book is explosive…. If New York Poems is, like all good books a stew of implied sermons, it is also a wonderful read in a very simple way. Phrase by phrase one can either marvel at Melhem’s masterly pen-and-ink depictions of city life or be touched in a deeper way by her homage to the ritual affirmations of humanity at its most crowded, diverse, feral and feisty. One never feels any detachment in the poet about her subjects. She is close, intimate, wrestling in the mud with everyone and everything in this raffish and involutely elegant trove of a book. Melhem’s world is expansive and diverse, filled with teeming humanity, hopeful, indefatigable life. D. H. Melhem is a poet of affirmation and intellectual rigor. Melhem sounds a trumpet of humanity and compassion. Another form of creative anthropology and sociology…I would describe D. H. Melhem as one of the finest poets of this generation. Mary Sue Kessell Rosen on Amazon.com and Barnes & Noble.com. Also see her review in Art with Words Poetry Quarterly, March 2006, Vol. 2, No. 1. A visionary with an ingrained sense of history, this poet’s deep concern is social justice, but her love of visual beauty will not be denied. Melhem’s passionate witnessing to the world’s fullness gives us a poetry to be reckoned with. I salute her. In this well-crafted collection, Melhem, like a stonemason, has chiseled her forms so beautifully that every poem leaves a deep effect on the soul. This inspirational collection explores the relationship between love, marriage, politics, and war…Melhem’s reverberating feminist voice, coupled with her Lebanese American heritage and Greek ancestry, challenges the division between East and West and provides a critical outlook towards patriarchal structures that perpetuate hatred, war, and social injustices. Mack Rosenthal, who knew a thing or two or three about the modern poetic sequence, would have recognized this as the real thing. There is such passion and, at the same time, restraint of tone and diction…a cumulative effect. Passion, kindness, clear music, all the good stuff of poetry is here. What a geography of the mind and heart this new work of D. H. Melhem is. She has written a hymn to humanity’s shifting gears of behavior and activity . . . inspiring in its inclusiveness and awareness of human contradiction and constancy. An immensity: something oceanic….It is all room, space, “country.” The language is gorgeous, large, magisterial, flecked with small surprises and intricate mysteries—and always, always heartfelt, electric, touching….An achievement. Country is a masterpiece of fresh, lively form and imagery. This blessed book touches me to the root of life and love. It is permanent. It will remain until the sun burns out and the planet goes dark. …an ardent yet faultlessly disciplined poetic journal. You have further internalized the cacophony of the city into your very being and into your poetic imagination. You are a people’s poet. It is a world swirling with passion, obsession and divine madness. Once she has introduced the reader to it, its power and its force inevitably, deeply overwhelm him. The poems add up to a view of city life that represents a microcosm of modern urban man. D. H. Melhem has become an iconic figure for poets, feminists, peace activists, and civil libertarians….She offers in her work, her poetry, her fiction and essays a humanistic vision that has caught the imagination of younger generations and given them hope. Few stories evoke the personal anguish and tragedy that would accompany the end of the world as do D.H. Melhem’s novellas, Stigma and The Cave, the second and third parts of her Patrimonies trilogy….These stories are certainly speculative, but Melhem’s fiction is profoundly personal, and this is one of its greatest strengths. Her subjects live under fascism or war, but the shifting perspectives she employs address the workings of the social whole in oblique ways. We get only incomplete information, unreliable signs of a world beyond the characters’ immediate reality, but that is enough to get us to think about the historical forces which set the stage for those characters. This tension between history and its subjects permeates these stories, making them provocative and worth second and third readings. What is unsaid or only hinted at becomes powerfully evocative, and the impact is unquestionable. D. H. Melhem honors her dystopian ancestors…A compelling story. [An] unsettling fable…this lyrical allegory raises basic questions about interspecies communication and cooperation, whether murder is ever justified, and how to heal our ruptured relationship with the earth. An amazing and original parable…enthralling and appalling, conceived in a poet’s crystalline prose and a humanist’s empathic courage. D.H. Melhem’s powerfully imagined Blight may remind the astonished reader of Gulliver’s Lilliputians…but, even more, of a genesis incapable of the paradisal. There is wisdom here — an indelible exemplum that will endure. Here, via the power of good sound and indelible images, high-flying fancy, serious introspection, canny anlysis of today’s errant society, D.H. Melhem obliges us to consider some unpleasant facts about ourselves and our direction. Blight is written, controlled and orchestrated with that kind of tautness Millay called “beauty bare.” It’s a rare triumph, a story that operates on many levels of meaning and remains fluid in its feeling for its characters and their desires and needs. I liked the subtleness of the terror, the easy grace with which you have it enter the garden of your protagonist. It’s sensuous and compelling. On several levels this is a parable. The “ground people” hold up a mirror to the moral ambiguities of human behavior. Hovering over the tale is the suggestion of a blight spreading throughout the natural environment and poisoning social relations as well, a blight let loose by humans themselves.Finally, there is the redemptive power of love, an ancient theme into which D. H. Melhem breathes new life….Blight is an exquisitely wrought supposition which cannot fail to remain with us as long as we keep cynicism at bay.Above all, D. H. Melhem is a superb poet, handling language with consummate care. Blight. Once begun, I could hardly put it down until the end. Such an involving, disturbing tale. Blight is a small masterpiece. Heroic, an exhaustive work that should help elevate Gwendolyn Brooks to the status she richly deserves as one of the most important literary voices of this century. Melhem’s study will help bring Brooks the wide attention and appreciation that she has earned. Highly recommended. Melhem, in authenticating Brooks as a ‘major poet, achieves indeed a resource needed now. An important book. It deserves wide attention. If proof is needed that a “second Black literary renaissance” is at hand, as poet Melhem asserts, then this rich anthology of six distinguished black poets should convince. 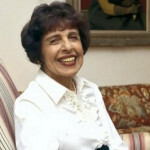 D. H. Melhem, poet and biographer, is herself a “superstar” in understanding and interpreting modern black American poetry.